In the past, I’ve pretty much always set myself new year resolutions and probably kept to most of them. 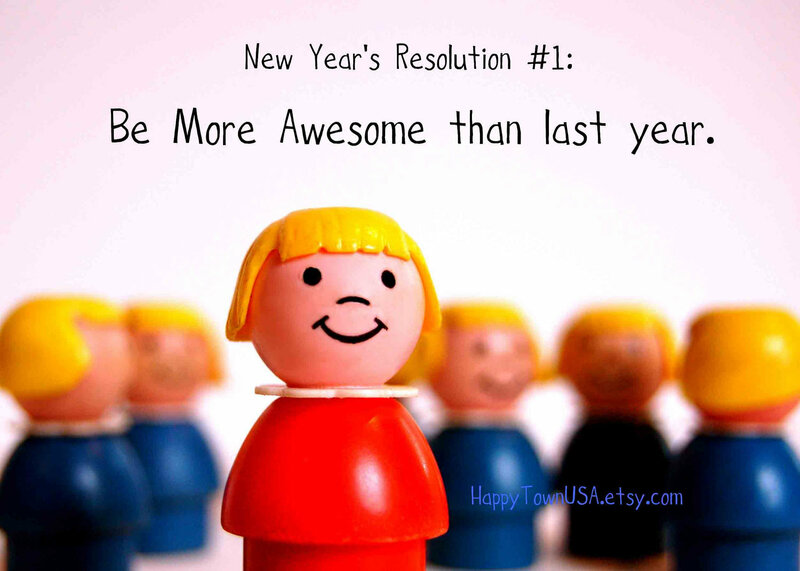 Setting goals and resolutions on my blog however makes me more accountable and more likely to try to keep to them and work hard to achieve them. Although I found them all interesting, I think I set myself too many goals last year (11), allowing myself to get distracted and on occasion, a little stressed out that I couldn’t concentrate on certain goals. Average 50% savings rate – I’ve failed twice now to achieve this…third time lucky?! Saving 50% of my salary is probably my most important goal – saving the most I can towards my Future Fund, keeping my living expenses down so that I can save that amount and knowing what I can live on comfortably in the future when I no longer want to work. £720 total dividend income – Last year, my total dividend income was £356.36. I’d like to try to get an average £60 per month so I’m pretty much doubling what I achieved last year. £60 would cover my mobile phone bill, the TV licence, my water bill and my car maintenance plan! My main investment strategy continues to be investing in index trackers so I need to balance this right to maintain this. Borrow and read 20 library books – Borrowing from the library means that I spend less on books but also means that I am supporting my local library services. I’m going to try to read 35 books this year (5 less than last year as I’m going to reread the ‘Game of Thrones’ books and some of them are over 1000 pages!) of which 20 must be borrowed from the library. Read at least 3 Personal Finance/Investing/Money related books – I struggled with 2 last year because I just find it hard to read non-fiction, even if the topic is interesting. However, I have a couple in mind that I can borrow from the library so can work on two goals at the same time! And that’s it. All still challenging goals for me and ones that I can focus on. There are other things that I could do ‘more’ of and other things ‘less’ of but while I may still do those, I don’t want to set any more goals because I don’t want to be too distracted. I do however intend to donate monthly to charity – going to start off with just a small amount as I’m in my accumulating phase, but it’ll be more than what I’ve donated this past year in total and will be on top of my ad-hoc charity donations throughout the year. I will of course continue to track my Future Fund and my Net Worth, I’m just not setting goals for them. If I achieve the 50% savings rate goal, that’s all I need to know really about how I’m doing progress-wise. Having stayed within my £25 per week grocery budget for an entire year, I have no need to set that goal again as I can’t see my habits changing now. Of course, if the food budget starts creeping up (I’ll continue to keep an eye on my receipts), then it’s time to do something about it again! I’ve been roped into a weight loss challenge at work. Those who have met me at the FIRE Escape gatherings organised by Huw will probably think that there’s not really a lot of me in the first place (!) but suffice to say, I’ve put on a few pounds over Christmas and New Year – too much eating and drinking, compounded by not being able to attend the gym for several weeks as I battled to shift a bad cold and cough! I’m unlikely to win the challenge because I only want to shift this ‘winter layer’ but I’m taking part because there are a couple of chaps who REALLY need to lose weight, so it’s a team effort (including the boss). We had our first weigh-in yesterday and I’m close to the heaviest I’ve ever been so I’m not going to take this lightly, haha! Final weigh-in is at the end of March. Anyway, I’ve been reading other people’s 2016 goals with great interest and hope that this year proves to be a positive and fruitful one for all, despite mutterings of a doom and gloom bear market! This entry was posted in Blog Update, Books, Dividend Investing, Earnings, Funds, Investment Trusts, Net Worth, Portfolio, Savings, Shares, Well-being, Work by weenie. Bookmark the permalink. Happy New Year and good luck with your goals for the coming 12 months. I am not much of a one for setting goals for myself – just seem to chug along…but do need to think about losing a few pounds (more like couple of stones..ahem!) and get a bit fitter for the coastal path walks. Hope the investing goes well in 2016. I am basking in reaching the top of the Monkey Stocks table these past 48 hrs..I don’t expect it to last for long but will enjoy it for now! Happy New Year to you too, DIY! Setting the goals give me focus and I’m the sort of person who gets distracted quite easily! Thanks and hope the investing goes well for you too in 2016 – interesting to see what you are doing with regards to your own portfolio and making things more simple. And yes, you are doing well in the Monkey Stocks table – obviously the news from China didn’t affect your fund as much as it affected all other stocks! A great set of goals there, and with keeping them down to a reasonable number I have faith that you can do it on all counts! If you are reinvesting your dividends as you go, then you will find it really helps speed things up… Good Luck! Thanks London Rob and thanks for your faith! All my dividends are reinvested, so that should help the whole pot grow all that much quicker! I’m with you on keeping it simple this year! Especially on the financial goals. It seems a bit pointless setting savings rate, net worth and fund goals because they are all so inter linked, so I will be following suit! theFIREstarter recently posted…question time: what was on your frugal christmas list? Happy New Year to you and good luck with all of your goals! And well done to you for cutting down on them – although compared to Huw’s list of over 20 goals for the year I wouldn’t think that 11 goals (as a number) was excessive to start of with. – Average 50% savings rate – I’m nowhere near it. However I already know when my savings rate is going up this year and to which level – purely based on monthly regular payments. However, any additional payments from left over money from elsewhere in the month will push it up a bit higher. Overall I think it’ll be a 40% – 45% savings rate this year once averaged out. – £720 total dividend income – as an overarching goal at total portfolio level this is ok however the average £60 pcm may not be so easy to achieve. Why? Because it is down to each company how they conduct their business including anything to do with dividends. For instance Tesco ‘miscalculating’ £250 million and subsequently stopping its dividend or Centrica ‘rebasing’ its dividend down by around 30%, will have a knock on effect on dividend income in total and for the month they were planned to be paid for each investor in these companies. Don’t be discouraged by this though. Should you at some point in life want to withdraw the dividends to live off them then the use of an account in between in which to pay these dividends into and from which to have a standing order distribute them in equal measures is probably the best way forward. Looking at my records for the last year I can see that my average dividend per month was around £40 – however the range goes from just under £6 in April 2015 to over £60 in August 2014. – Borrow and read 20 library books – that should be easy, depending on having access to a decently stocked library. However the more important point for me in this one is the fact that you want to read 35 books! I’d be interested in seeing how you get on with this one – I have never put a target on how many books to read per year. Why? For me it takes time to read and ‘get through’ a book – not so much the bit about actually reading the book itself and not just a few reviews about it. But also to think about what I have read and maybe to reflect on it and to talk about it. 35 books, let alone 40 books as last year, is huge. But maybe I’m just slow. Which financial books do you want to read? – Donate monthly to charity: I don’t. I guess my cash donations for 2015 all added up come to £15. However, I do go and donate blood 4 x per year – which is the maximum the law allows in the UK. Germany allows 6 x per year. – £25 per week goceries – I’m with you on this one but a bit higher though. As for “…mutterings of a doom and gloom bear market!…” – Maybe this is a buying opportunity in disguise? Cheers Pinch, Happy New Year to you too! Savings Rate – 50% average is a very tough target – realistically, I’d say I’m at the 40-45% rate but may as well shoot for higher to see if I can get there! Dividends – Although I averaged around £29 last year, income received ranged from £5 (Feb) to £85 (Dec), so getting a flat £60 a month won’t be possible but if I can get that as an average over the year, I’ll be happy. I don’t plan on just living on dividend income, I would have funds from elsewhere as top up in the ‘leaner’ months! Tesco and Centrica – I have them both! Emergency Funds – by ‘personal emergency’, I mean emergencies related to house or car repairs or medical (not covered by my company medical scheme). Job loss would be covered by redundancy payment plus my loss of income insurance. Library Books – I have access to 3 well stocked libraries under the same library membership so am spoiled for choice! I’ve been setting a reading target via GoodReads (https://www.goodreads.com/) for several years now, mainly to get back into reading and watch less tv. In 2013, I read 46 books – I did travel a lot that year (holidays and work). One of the financial books I’m planning to read is ‘Millionaire Next Door’. The markets have opened disastrously, with China being the main factor. It’s just as well that I’m not focusing on networth or my future fund but yes, opportunities to buy for definite this year! Thank you very much for taking that time to write your detailed comment and for sharing your own situation. All the very best to you in 2016! Some really stretching goals there Weenie. It will be interesting to follow your progress on the 50% savings rate. Hopefully third time lucky! I like how you have kept it simple and hopefully this will make your goals more attainable. Another Game of Thrones fan I see. That new book can’t come quick enough! Thanks MG – yep, let’s hope I crack that 50% this time! Yep, I love GoT – whilst I love the TV show, ultimately, I prefer the books. I’m hoping that by the time I’ve re-read all the old books, Martin might have finished the new one! Great job on putting your goals out there again this year. You’ve got a great list to focus on there. I like the way you’ve doubled your dividends. Doubling a goal from what you’ve achieved is a nice rule of thumb that I use. Any more than doubling can become a bit much, unless you’re starting from scratch of course. I just KNOW that 2016 will be the year that you hit the blasted 50% rate you’ve been seeking. I can feel it in my ginger bones! Good luck with all of them! I think this might be the only year where I could try to double my dividends, only because the values are still pretty low. With me still keeping to investing mostly in index trackers, I wouldn’t be able to double it again in say 2017 but I could of course aim to make a big increase! Wow! These are very great goals! I’m sure you’ll crush them half way through the year. My work also have the “biggest loser challenge”, $5 to join, winner get the entire pot. I never join, but having a group support is great. Before, I was one of the few who would pack lunch to work, now I see a lot more people doing it. Yes, for our ‘biggest loser’ challenge, it was £5 to join, winner gets the pot. To deter one of the guys who was already joking about not taking it seriously, there’s a penalty of £10 if you weigh heavier at the end than when you started, haha! Your soccer and basketball coaching should keep you really fit and yes, great that it means no gym membership fees! Thanks for stopping by and for your support! I recently discovered your blog and I’m impressed by your story. You really did a great job paying off the debts and starting investing for the future. I wish you all the best for 2016 and I hope you can crush your goals. Thanks for stopping by and all the best with your FI journey!